The interplay between colonialism and gender is the focus of this book, which concentrates on Edmund Spenser's Faerie Queene in the context of English history. 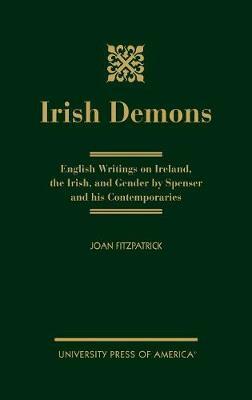 Spenser's attitudes toward the Irish are drawn out of the text of his poetry, especially his preoccupations with sexual promiscuity, Catholicism, and miscegenation. The underlying textual dynamics are analyzed in terms of Spenser's relationship with Queen Elizabeth and his residence in Ireland.